Change the world… one hamlet at a time with service… fulfillment and profit. As you’ll see below we stumbled across a big one… an adventure that is… highly profitable… plus really good for the community and those involved. This report shares it here with you. * The benefits of having a writing and publishing business. * How Merri and I developed a publishing business. * Why small is better in today’s social and economic world. * How Merri and I discovered this community business plan. * Who is using this business plan now. * How readers are using this business to make local communities as they earn $10,000 a month and more. This report shares how you can turn yourself into a well paid publishing professional by publishing local news that turns the publishing industry upside down. Merri and I have been looking for contrasts, distortions and trends for 45 years. We have enjoyed considerable success in the process. Now, we are returning to an old idea that offers an adventure that is highly profitable in a new way. This idea is really good for the community and those involved. This report shares this new “old idea” here with you. This is an odd new direction for us. We have been “Mr. and Mrs. International” for 45 years. Now we are jumping head first into Smalltown USA (or Smalltown Canada…or Smalltown Ecuador) or anything small. For four decades we have been urging readers to expand their global horizons. Now we are suggesting that there is also a pot of gold waiting in your own back yard. The report explains a huge potential… of goodness and profit. You’ll learn in a moment how Merri and I saw a business plan based around small niche area publishing of (SNAP) magazines that was special… I mean really special… one that had pulled niche publishers from an incredible low point to a healthy income and a wonderful standing in their community. This is a plan that fit into our lifestyle philosophy in so many positive ways that we began thinking that some of our readers should become involved. This report explains the business plan currently being used by positive niche magazine publishers that bring them an income of $11,835 a month as they serve a really small – highly defined niche (in their case a small community) in the publishing field. * How readers are using this business plan to earn $11,835 per month. Let’s begin by looking at the eleven benefits in more detail. This report shares how you can turn yourself into a well paid publishing professional with “Small Niche Area Publishing Magazines (SNAP) training, a cutting-edge system that turns the magazine industry upside down. * Training & Support Delivered through the Internet and at Self Publishing Seminars. If you like this idea. If you want to write, if you want to be a publisher, want to be a bigger part of your community and want to earn an income like this… read on. There are many positive benefits. #1: Freedom of Choice. When you own your own business and all the benefits that go along with it. You set your own hours. You work when you want to, not when you are told. Working at home eliminates a commute unless you count the 8 seconds it takes to walk from the bedroom to your office. You can even work in your pajamas. One magazine publisher who helped develop this program says that this is one of his favorite benefits. You don’t have to ask permission to take time off to attend your children’s sporting events, concerts, plays or any other event. #2: Greater control over your earnings and your destiny. If you want to earn more, give yourself a raise by increasing your revenue. When you work hard, you are working hard for your benefit and wealth not someone else’s. #3: Tremendous tax benefits. Many after tax expenditures become tax deductible business expenses. #4: You become part of the solution, not part of the problem. There is so much bad news now all about events we are powerless to change or stop. Helping build a better positive community is something we can actually do. Small businesses are the lifeblood of our economy and having a successful small business helps develop strong community economics. #5: You have PRESS Credentials. Some big venues (like NASCAR) require official credentials which you can get by calling the press office. Other smaller venues you can create your own “PRESS” badge and it usually gets you “behind the scenes” access. Not to mention, everyone want to talk to the press so they can end up in the magazine. The magazine publisher wrote: Being part of the press also (usually) gets you free admission into most events. Worst case scenario, you trade/barter an ad to gain admission. We are going to an event today called the “Big Sip”. Not only did we get free tickets, we got free VIP tickets which gets us into the show early and gives us access to things non-VIP ticket holders will not have access to. #6: Prestige (Near Celebrity Status). He also said: We get invited to everything because people want our magazine to reveiw their events. Additionally, we are very well known around town. #7: Service to the Community. He told us that he gets raves about how his magazine and the content they publish really shines a positive light on the community. He wrote: We give a voice organizations that normally wouldn’t have one. We raise awareness to programs being hosted by the myriad of organizations here in town that most people would normally never hear of. Save lives. In one issue of a community magazine we studied, there was a story about a little boy that was struggling with a rare disease that caused life-threatening seizures. One day, while his mom was out shopping, the little boy had a seizure so she rushed him to the hospital. She called ahead and the nurse met her at the emergency room. As it happened, the nurse had read the article in the magazine (which someone had brought to the nurse’s lounge) and she recognized the little boy from the article. Since she knew immediately what was wrong with him, no time was wasted and he was treated quickly. The magazine publishers were told that this particular seizure was especially bad and that the article probably saved his life. Obviously, this doesn’t happen every day but once in a lifetime is good enough. 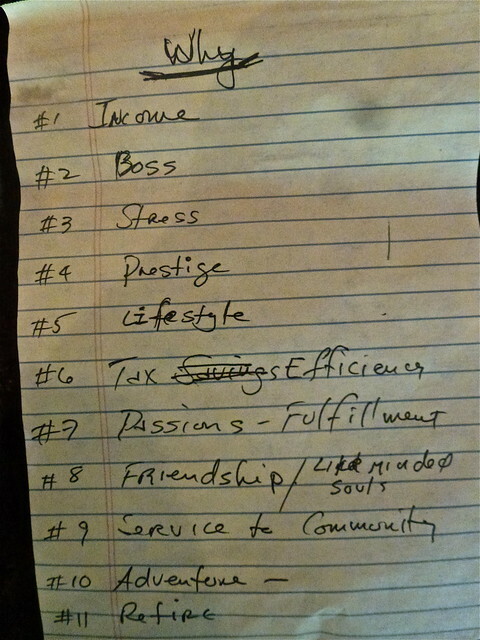 #8: You can be philanthropic. One of the magazines we studied chose two non-profit organizations to support. One of the things non-profits need is press coverage and advertising. They give about $10,000 worth of advertising a year to their non-profits and various other groups to help them get the exposure they need. #9: You gain respect. Publishers are the people who bring the information to the rest of the world in an information era. They are the ones that effect change and because of this, have a tremendous amount of power. For this reason, people like to say they “know the publisher” and will extend all sorts of courtesies to get to know the publisher. #11: You can have big-picture perspective without going broke. Being able to fit your business to circumstance can sometimes be the most importune benefit of all. a small niche magazine publisher had just started their business rolling when their daughter was diagnosed with bone cancer. During their daughter’s hospitalization they were able to be there 24/7… yet continue to build the business. That publisher told me… “This is one of the BEST reasons for owning this type of business, the freedom to work from the hospital room on your laptop and be there when your child needs you the most”. We can see there are many benefits. Now let’s now look at why small town publishing offers such great potential. Sam Buffet… or is it Warren Walton? Here is how to earn $11,835 a month from three cherished beliefs that Sam Walton and Warren Buffet shared. Forbes magazine listed the 10 wealthiest Americans in an article entitled “The Faces Of Wealth in America”. So Sam Walton’s fortune is still the largest by about 25%. Imagine combining the wealth Walton created with that of Warren Buffet. You get 150.1 billions dollars… far more than the wealth created by Bill Gates and any other three of the top ten combined… by just these two men. Sam Buffet and Warren Walton! What a combination. So I ask, who would you like to help you. Buffet and Walton shared several cherished business beliefs that you can gain from in a special writing and publishing business that is at its very beginning stage. Cherished Belief #1: Small is Beautiful. Both Sam Walton (Bentonville, Arkansas) and Warren Buffet (Omaha, Nebraska) chose America’s heartland away from the big cities as their homes. What’s more Walton chose to do business in these small places as well… building the largest retail operation in the world almost entirely in small towns. Warren Buffet believes that potential in small towns offers special value. He believes this so strongly that he is buying newspapers in small towns. In 2012 Berkshire Hathaway purchased 63 small and mid-sized daily and weekly newspapers throughout the United States. 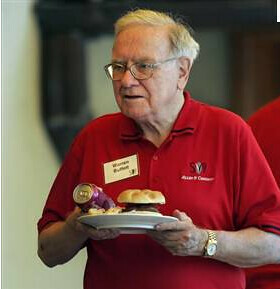 Buffet stated that Berkshire is not buying big newspapers or more newspaper shares because he believes in the value of local communities. The individual papers can be as small as 10,000 circulation with a tiny staff of 33 people. From this vision Wal Mart remains committed not just to expanding the business but to improving the communities. You can do this as well through SNAP Publishing. Small communities can be places or ideas. The factor that makes the publication successful are common interests. 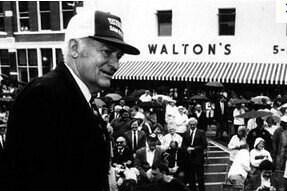 Both Buffet and Walton shared a vision that small towns… ignored by the mainstream offered good value. This is why I would like to help you become a “Sam Buffet” of magazine publishing and and a “Warren Walton” of internet publishing to show you a phenomenal way to earn… as a publisher who helps a small community. Knowing BOTH successful niche magazine publishers and internet marketing geniuses is important for a reason Buffet outlined to his publishers when he purchased their papers. Buffet believes that small newspapers will change and that they serve an important purpose. He said, “papers must rethink the industry’s initial response to the Internet as focus on continuing to maintain a strong sense of community“. To begin this introduction let me add one more point and outline the value of what I am about to offer. You’ll start with $299. You may eventually spend $5,000 but can make up to $11,835 a month… or more. That’s value… plain and simple. I already knew the person I call the Warren Buffet of the internet… my webmaster, David Cross. David has an unparalleled, hands-on marketing experience spanning 25 years in 22 countries for companies and charities large and small. He’s guided many companies and individuals to success in business and helped them achieve their marketing goals, both online and offline. He started working with the internet from the getgo and I have been lucky that he helped me start my website in the 1990s. He was also Senior Internet Consultant to Agora Inc. in Baltimore, MD. David worked closely with Agora’s publishers and marketers and over an 8-year period helped to propel Agora’s online revenues to over $300 Million in 2009 until he came to work with Merri and me full time. So half of Buffet’s value equation was there. Merri’s and my lives have been involved in the second half of this equation. Merri’s first publishing career was as executive editor of Gulfshore Life. Gulfshore Life magazine began in 1970 and not long after Merri became executive editor. The niche was Southwest Florida’s Gulf Coast, from Fort Myers and Cape Coral down to Naples and Marco Island. The magazine covered local personalities and pursuits, from arts and entertainment to fashion, real estate and has earned many awards for writing, design and publishing excellence, including recognition as Best Overall Magazine two years in a row from the Florida Magazine Association. While Merri was editor she was well paid for the exciting privilege of addressing the leading edge of important issues such Women’s Lib. In February 1972, she interviewed Nancy Urfer, who was one of the most highly respected stockbrokers in Southwest Florida. She was the only fully accredited and licensed woman stockbroker in Naples at that time. In 1974, Merri focus on fashion when she had Betty Sherwin, former fashion consultant for Burdines, began writing the “Fashion Futures” column, with pithy advice for the fashion-conscious. This helped the society move from mini skirts to the peasant look. Merri attacked pollution in Naples Bay with an “Our Water Dilemma.” story in 1977, and was writing about computers becoming mainstream. One of her stories was “Don’t let the word ‘computer’ frighten you”. She enjoyed putting together travel stories and was invited to many places including Haiti, The cCaribbean and to the record-breaking tour of the “Treasures of Tutankhamun”. She was able to meet many famous people like author John D. MacDonald, Roberto Rauschenberg and Lilly Pulitzer. I should add that though this report looks at how to earn a good income, in some instances, niche magazines can create huge capital gains. In the case of Gulfshore Life, when the cost of Naples real estate exploded into the stratosphere, this magazine sold to Curtco, publisher of Robb Report and several other luxury niche magazines, for a strong eight figure price. I have been told $23 million though I have been able to confirm this price. The current owner of Gulfshore Life publishes a number of small niche magazines in San Antonio and Austin Texas, Oklahoma City Oklahoma and Marin County California. In another example, Felix Dennis made $250 million on selling a few small niche area magazines. 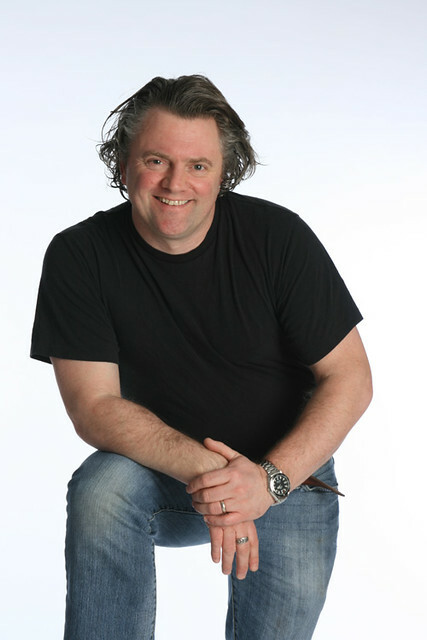 Felix Dennis, a niche magazine publisher of small niche magazines such as Kung Fu World, ComputerShopper, PCWorld, Maxim and The Wee sold his US small niche magazines Blender, Maxim and Stuff for a reported $250 million dollars. That was a really healthy capital gain. He continued to publish small niche magazines and was publishing more than 50 magazines at his passing in 2013. Profits in that year were more than $100 million. His estate was estimated at near $1 billion dollars. Felix did not inherit this either. His beginnings were modest. His grandparents raised him in a house with no electricity or indoor bathroom. He left school at 15 to work as a gravedigger, store-window dresser, sign painter and blues drummer before getting a job as at the small magazine Oz. He built these humble origins into a fortune that provided him with a garage full of Rolls-Royces and Bentleys, a 16th-century thatched manor on his estate near Stratford-upon-Avon, a house in London, an apartment in Manhattan and houses in Connecticut and on the Caribbean island of Mustique. What are the odds of actually getting this rich? Dennis himself shares the fact that most niche publishers will not make hundred million dollar capital gains. He notes that the odds are only 25 chances in a million. Not as bad as the lottery, but not that encouraging either. Though it is unlikely that you’ll earn this type of capital gains with a small niche magazine publishing business, I mention this fact because the possibility does exist. Purpose, income and lifestyle opportunities are the main reason to be a small niche publisher. Dennis for example felt that his passions were more important than the money. He had a passion for forestry conservation and used his niches to plant a large native broadleaf forest, and found a registered charity The Heart of England Forest Ltd. Not long before his passing, Dennis planted the millionth tree, an oak sapling, at a special ceremony. He bequeathed a reported 80% of his fortune to ensure that the project will continue. Over a thousand acres have been planted and will will continue indefinitely with the aim of eventually providing between 10,000 and 20,000 acres, the largest private forest in England opened to the public with educational facilities for schools as well as provide green burial services to the local area. A more typical example of small niche magazine publishing are Dave and Sherry Johnson who attended one of our Super Thinking courses. I discovered that Dave and Sherry published a couple of magazines in North Carolina when they enrolled for the course… but what I did not know was the value of what they had developed in publishing small town community magazines. Dave started as a media marketer and has sold most media including radio, cable television, direct mail, magazine, yellow pages, newspaper and Internet. He enjoyed great success until times turn sour during the 2007 recession as they did for so many. Being under the gun, Dave and Sherry lost everything so they moved to Asheboro, North Carolina and started their own magazine which has risen from success to success. The old adage is to be in the right time and at the right place. Imagine this timing… 2009 with the US facing a sluggish economy and risking a double dip recession. The place? Forbes magazine highlighted Asheboro, North Carolina in 2008 but not in a way you would think. Forbes’s article was entitled “In Depth: America’s Fastest-Dying Towns” and said: Asheboro is one of the few places in North Carolina where domestic migration rates fell between 2000 and 2007, from 10.5% to 1.9%. Poverty surged from 15.7% to 26.7% as incomes declined by 9.5%. The city, built on manufacturing and heavy industry for everything from batteries to tires, has yet to find a new niche. There they were… Dave and Sherry… starting a magazine on a shoestring… (or perhaps a little less)… in the fourth fastest dying town in the US.. Sherry put it this way… “Failure was not an option. We had to make a profit before we published our first edition”. They did and have risen from success to success. When I heard this story and read their magazine I let no moss gather beneath my feet and began testing ways to help you publish your own SNAP magazine… profitably… immediately… in just a month or two. Here is how we can serve you. Merri and I have had a long career in publishing. As mentioned after Merri’s stint as executive editor of Gulfshore Life she then joined me in publishing our newsletters and later in our producing our daily ezine. Later we helped a small niche regional magazine, Natural Awakenings which was on the verge of bankruptcy turn itself around and become a national publication. Today Natural Awakenings claims to be growing as they have reached 90 markets in a thriving niche community of over 3.8 million responsive readers. Each magazine is operated by an independent small niche magazine publisher. At the Writer’s Camp we’ll also look at this English language magazine in Spain because it has South American expansion potential. The owner stated that this magazine is earning around $250,000 a year. The Sentinella is an English magazine on the Costa del Sol, known as the ‘little mag that fits in your bag’. It is aimed at expats who have moved abroad for a better life. The Sentinella has been established in Spain for more than seven and a half years. There are now five magazines operating along the Costa del Sol, Costa Tropical and the coast of Almeria. We have combined all these experiences into a 51 step checklist that can help help you publish your own small niche magazine. Your own small nice magazine allows you to put your desire to profit through writing to work. As an small niche publisher you will publish niche publications dedicated to representing, encouraging and celebrating the community (whether it is a place or an idea) you serve by focusing on the lifestyles, talents, gifts and contributions of the people who are like minded souls. Our course is designed to show you how to earn as much as $11,835 a month. Merri and I see SNAP Magazines as one of the most important services we have been able to bring to our readers ever. This service helps our readers write to sell… to help readers enjoy working with like minded souls and to bring a positive influence to that community. However, let me make two extremely important points clear. First, the key to success will depend on your effort. Your dedication to your local community and especially your ability (or an associate) to sell advertising. The small nice magazine business will succeed or fail based on sales training and support. No matter how good the editorial, chances are success will require that someone meet with local businesses and ask for their advertising support. We want to make sure that your own magazine business is right for you. We have three safety steps to eliminate risk. First, a big part of our SNAP program is the course Self Fulfilled – How to be a Publisher which is currently available for $299. Save $200 immediately. When we launch the indepth SNAP program to our entire list of readers this course will be offered for $499. You get the 51 step checklist now as part of our online Self Publishing program, Self Fulfilled- so you save $200 immediately. Safety Step #1. To be sure that a publishing career is for you, after you study this course, you can opt out for a full refund in the first 30 days with no financial loss and zero risk except your time of study. Fair enough? There is more. Safety Step #2. Positive Introductory meeting. After studying Self Fulfilled – How to be a Publisher, you can attend one of our Writer’s Camps. The fee is $799 for one or $999 for a couple. If not fully satisfied after attending the Writer’s Camp, you can opt out for a full refund of the $299 you have paid for the Self Fulfilled Course and SNAP checklist. Safety Step #3. There is still a third safety step, a 30 day reflection period. Once you have attended a Writer’s Camp, you change your mind within 30 days and still have a full refund of the $299. When you start you’ll receive the online Self Publishing course, “Self Fulfilled-How to be a Self Publisher”. You’ll also receive a 51 step checklist on how to implement your SNAP business plan. This program is the Holy Grail of small business publishing. There is no other system that even compares. The enormous value of our experience and your willingness to sell advertising are the combination why this model succeeds. Your success will be based on the publisher or ad salesmen generating income that makes your publication profitable. Some publishers will use advertising sales people. If you do… expect to reduce your profit by 30%. All businesses have risk so after the first month of business so we suggest that you have at least an initial $5,000 to cover all costs of business that are found in normal business start ups. Merri and I have enjoyed participating in many prosperous publishing businesses over the last 40 years. Our SNAP program offers easier, faster profits from a positive business than any we have seen to date. We look forward to working with the few who use our course. Is there oddness in the fact that we are outlining a system to help earn in Smalltown USA, when for over 40 years our business has focused on teaching readers how to be global? This might seem like an amazing shift but I have to say I have been waiting because I have learned when I feel the winds of change to Watch Out! We follow an Ecuadorian shamanic method that can can lead one in directions and unexpected ways. 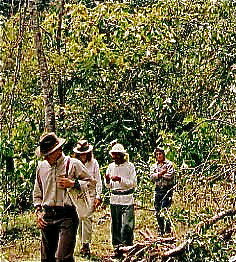 Take the fact, as an example, that many years ago, Merri and I bought the 950+ acre hacienda Rosapamba deep in the Andes. We lived there and studied with Ecuador shamans. So we would wind our way along the cliffs… not seeing… but feeling where we were headed instead and knowing that the path was correct. The potential for creating a groundswell of positive information at the grass roots level is exciting. Enroll me in “Self Fulfilled-How to be a Self Publisher” including the 51 step check list. I understand that if not satisfied with the SNAP checklist, within 30 days of receiving the course and checklist, I can have a full and immediate $299 refund, no questions asked. I understand that if not satisfied with the SNAP checklist, within 60 days of attending the camp, I can have a $299 refund.